Tareq Rantisi is an experienced Percussion instructor, for years he has been teaching various hand Percussion styles and techniques to students from all around the world. 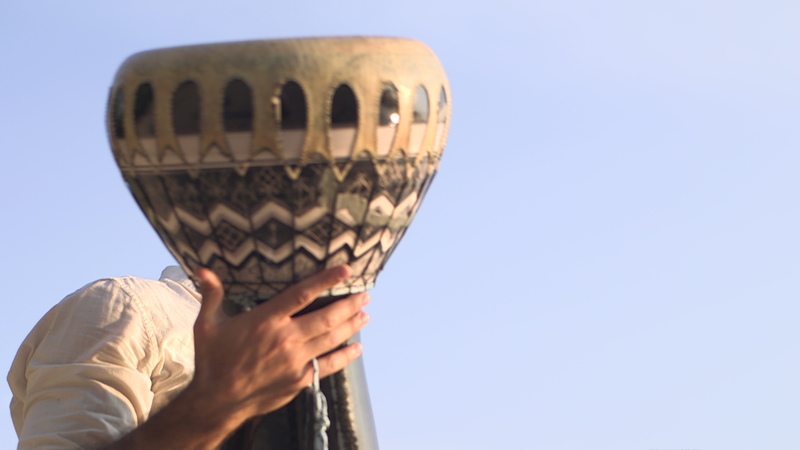 Tareq Rantisi is known for being a world percussionist. Tareq Rantisi’s private lessons will provide you the necessary attention to improve your skills. Learn how to play basic techniques, traditional Middle Eastern and North African rhythms . For beginner and intermediate levels. • Basic playing techniques of the riqq/tambourine, tabla/doumbek, doholla, sagat/zils and various frame drums . • Exercises to develop precise timing and sharp sounds. • Rhythms from the Levant, North Africa and Turkey. • Ideas for accompaniment and Soloing. • Simple explanation of odd time signatures (e.g. 7/8 and 9/8). The workshop is accessible to students with any level of musical experience, percussion workshops allow the group to focus on learning rhythms and playing technique. As the group progresses throughout the series of workshops, they develop together and can begin to learn more advanced rhythmic concepts such as rhythmic interplay and poly-rhythms. If you are not able to make your lesson in person, you can arrange online lessons via skype, LessonFace, Takelessons and Thumbtack. Contact Tareq Rantisi for further information.